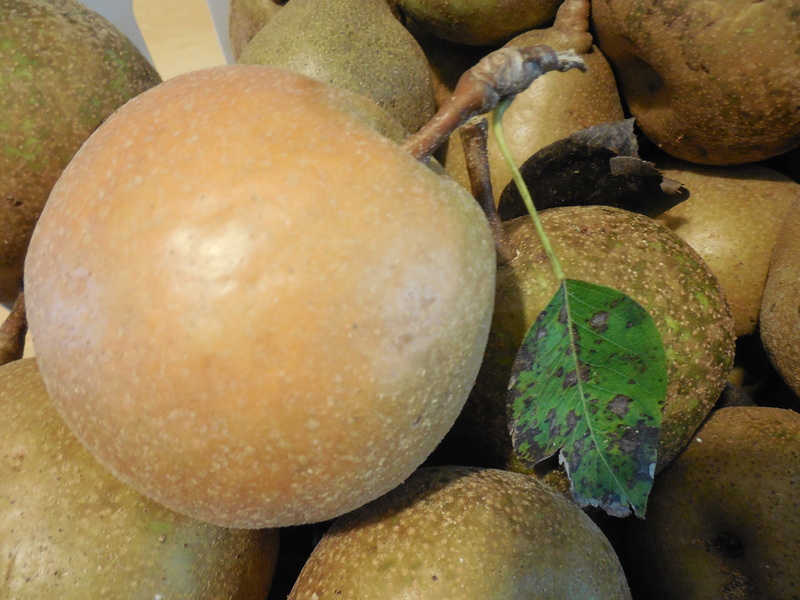 Wondering what to do with a bounty of sand pears? If you have never had a sand pear, I would have to describe them to you as a fruit with the crisp crunchiness of an apple, the flavor of a Bartlett pear, and textured with the tiny bits of grittiness that give them their name. I have had a laundry basket of them setting on my kitchen table, slowly but steadily ripening. 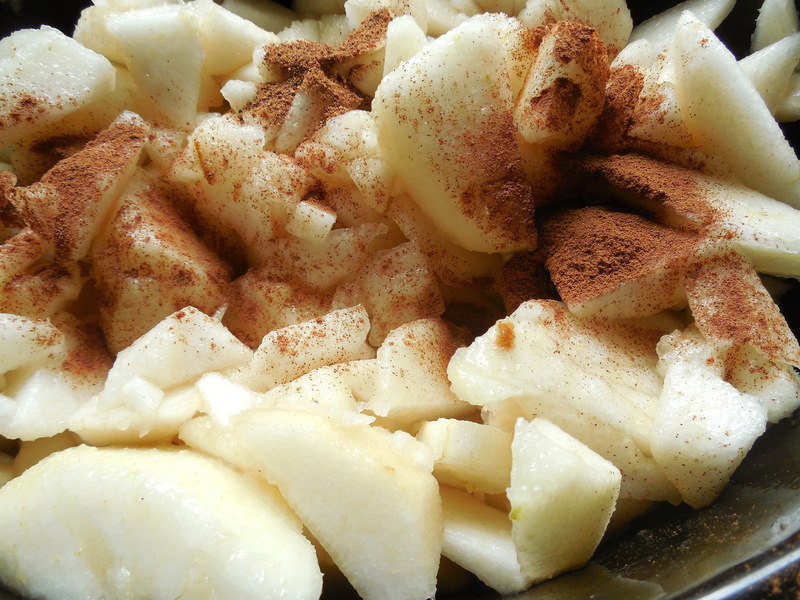 First plan: Spiced Pear Butter. This is a great way to use up the pears that need to be preserved right away. It takes a large amount of pears and turns them into a delicious product thanks to some easy cooking done in the Crock-Pot. 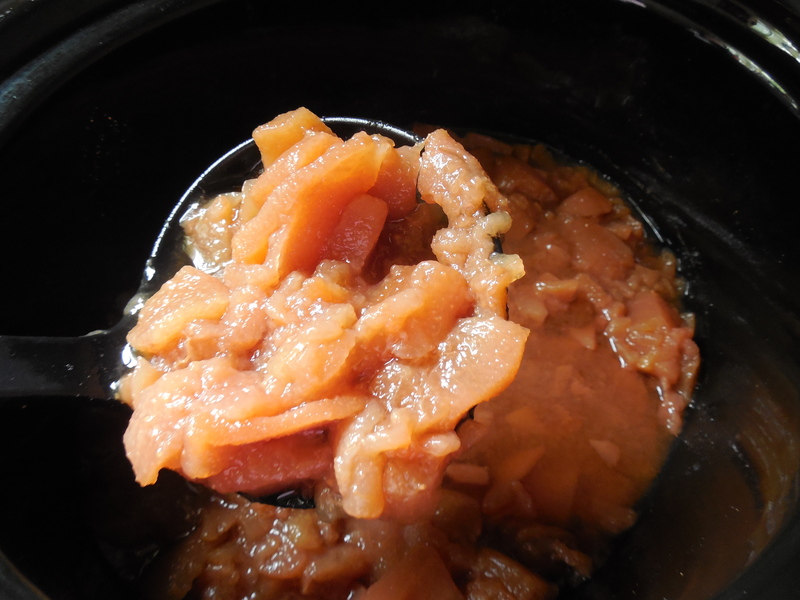 Place pears in Crock-Pot and cook on low overnight or for 12 hours. 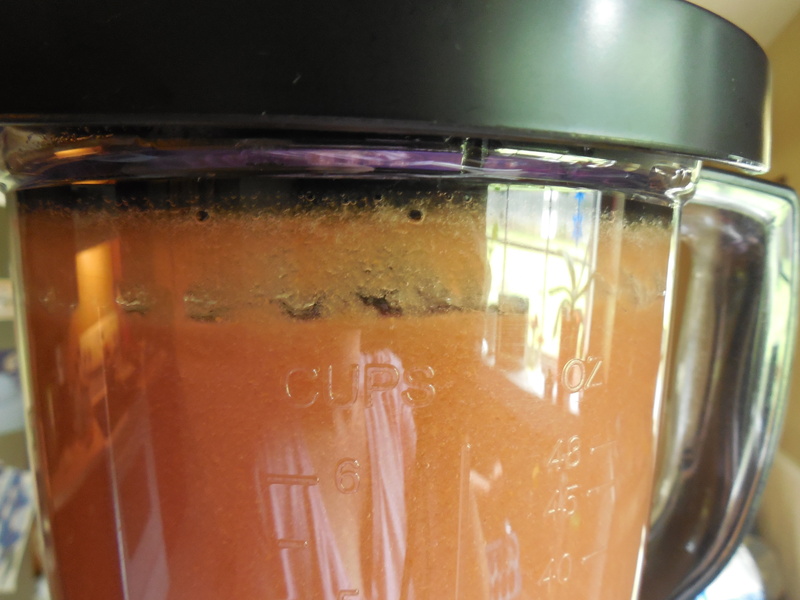 In the morning, puree the pears until smooth. Add the cinnamon, nutmeg, and sugar, then cook on low for another 4 hours with the lid cracked so the excess moisture can evaporate. At the end of four hours, taste the butter to see how sweet it is after all the cooking down time. I only needed 1 cup of sugar. You may want to add more, based upon your personal taste, or the relative sweetness of your pears. At this point, the butter was not quite as thick as I’d like, I so I let it cook on low for another hour with the lid cracked. Sand pears are also known as Asian pears, and do not contain enough natural acidity to be canned alone. The National Center for Home Food Preservation recommends that lemon juice be added to Asian pears before canning, at the rate of 1 tablespoon per pint. To be sure that it would be acidic enough, I measured the amount of the final product (5 cups), then added the appropriate amount of bottled lemon juice (2.5 tablespoons). You may have more or less, depending on how juicy your pears were, how thick you wanted your pear butter, etc. If you decide to can your butter, process in hot water bath for 10 minutes. Won’t this be delicious on hot biscuits? Or on some roasted pork chops? 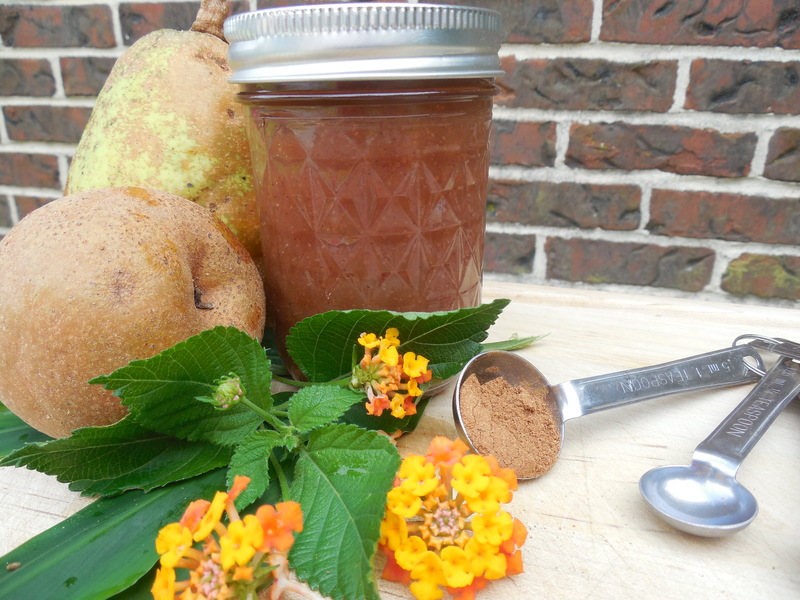 These preserves are made with sand pears, juicy pineapple, and a bit of lemon. Really tasty. Look for that recipe soon! Now this one sounds good, I can almost taste it on a nice warm biscuit! Yes! I’m also thinking of using it instead of apple butter on roasted pork chops. Yum!